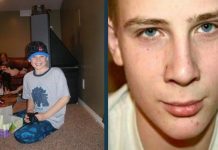 Missing St. George teenager Macin Smith vanished from his family’s home more than 18 months ago. Since then Gephardt Daily has provided comprehensive coverage of Macin’s disappearance, as well as the exhaustive grassroots efforts to bring the teenager home. We promise to continue that effort for as long as needed and urge you to share these stories on social media. Together, we can bring Macin home. Turning 21 is the biggest milestone in any young person's life; the day when a teen becomes an adult, and a boy starts to decide how his life might unfold now he's a man. It's been three agonizing years since 17-year-old Macin Smith vanished from his family's St. George, Utah home.It's been three agonizing years since 17-year-old Macin Smith vanished from his family's St. George, Utah home.It's been three agonizing years since 17-year-old Macin Smith vanished from his family's St. George, Utah home. 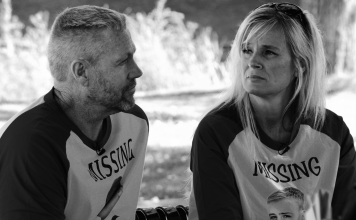 Tracey Bratt-Smith led a group of about 100 volunteers Saturday in a search for her missing son, Macin, who disappeared three years ago from their St. George home. As the third anniversary of Macin Smith's disappearance approaches, family and friends are planning a comprehensive search in St. George they hope might finally provide some long-awaited answers. Turning 20 is a major milestone in any young person's life; a time when a teen becomes an adult, and a boy starts to decide how his life might look when he's a man. 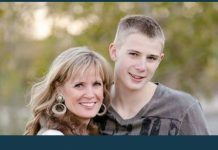 The mother of Macin Smith, who has been missing from St. George since 2015, has opened up about how she and her family plan to go forward in 2018 as they face what would be their youngest son's 20th birthday in the spring. For many of us, Christmas is a time of togetherness and joy. Utah kidnapping survivor Elizabeth Smart is providing tips to parents on avoiding abuse in a new interview on Reddit timed to coincide with the 15th anniversary year of her childhood abduction. It's very likely to be a complete coincidence that an extra large plain white T-shirt was found by volunteers searching for missing teen Macin Smith at the edge of the Virgin River in St. George Saturday.